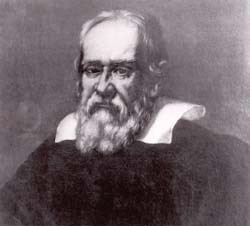 Italian scholar Galileo Galilei (1564–1642) is considered by many historians to be the first modern scientist. One of the last great Italian Renaissance men, Galileo was born in Florence and spent a good deal of his professional life there and in nearby Padua. He explored the natural world through observations and experiments, wrote eloquently about science and numerous other philosophical topics, and rebelled against an established authority structure that did not wish to acknowledge the implications of his discoveries. Galileo’s work paved the way for the study and discovery of the laws of nature and theories of science.